Why Use Vacuum Sealers in Your Packaging Line? You are here: Home » General Used Packaging Equipment » Why Integrate Used Vacuum Sealers in Your Packaging Line? Why Integrate Used Vacuum Sealers in Your Packaging Line? 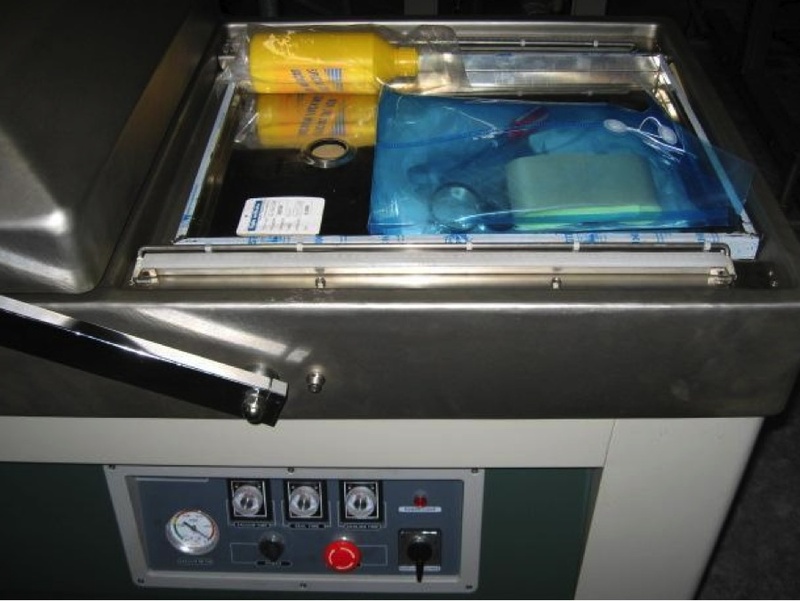 When you’re considering different ways and machines that will seal your product into packages, one such machine to consider is the vacuum sealer. Depending on what you are selling, you may want to get all of the excess air out of the package before shipping, either due to the potential for spoilage or simply taking up excess space that could be better utilized. If you’re on the fence between a vacuum sealer and another way of sealing your packages, consider the benefits of purchasing a used vacuum sealer from High Performance Packaging. Depending on what you’re packaging, it might be more beneficial to have the package completely devoid of extra air—thus the packaging sealed tightly around the product. The alternative to this option is using a gas flush option, which replaces the air in the package with an inert gas, so that your product is oxygen free, yet the contents are not sucked down with pressure or crushed by the packaging. For example, many food products like potato chips are packaged in this manner. When perishables are packaged, they either have a relatively short shelf life, or they are vacuum packed. Vacuum packaging food products like cheeses, tofu, meats and more can extend the length of time they are safe to eat, since they are not exposed to any air. 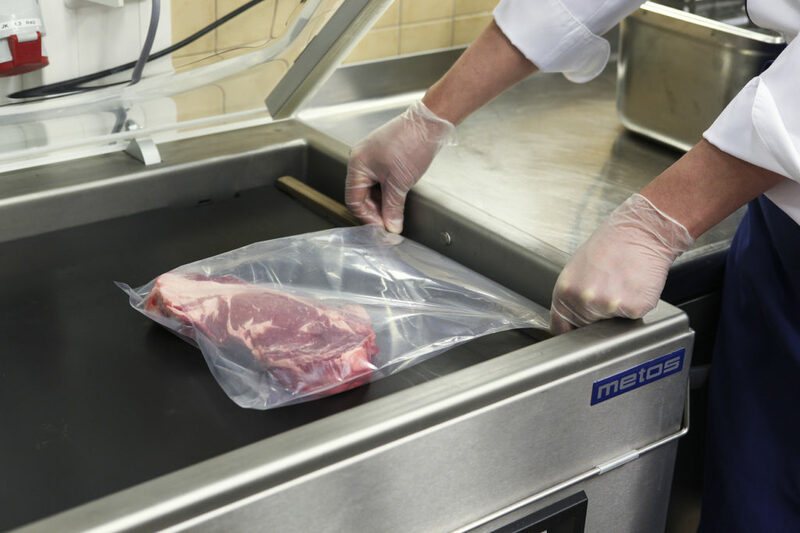 Vacuum sealing protects against bacterial growth and molding, and keeps food fresher longer. If you’re not packaging food, vacuum sealers are still a great option to consider. They prevent the product from bouncing around within a package that has a lot of air in it, which can cause damage or breakage. Using a vacuum sealer can ensure that your package not only stays safe, but that you can pack more of them into one box for shipping. Save money on shipping and preserve your products while keeping them safe and securely sealed by using a vacuum sealer. Used machinery is often labeled as being an unsure bet—you can’t be sure that the machines you buy will work for as long as you need them to or as well as you need them to, and there’s also the worry that they won’t last long since they’re already used, which would mean you’d have to replace them and spend even more money. At High Performance Packaging, however, you can trust that the equipment we offer is in excellent shape and will last your business for years to come. When you purchase a new machine for your line, it’s important to know how to use it properly in order to spend less time in limbo and more time producing product. If you don’t have any training, it’s trial by error and that’s not an efficient way to work. For that reason, we offer our customers training programs for the equipment they buy so that they can hit the ground running when their vacuum sealer or any other machine is installed. Purchasing a used vacuum sealer from High Performance Packaging will net you a high quality machine at an affordable price. 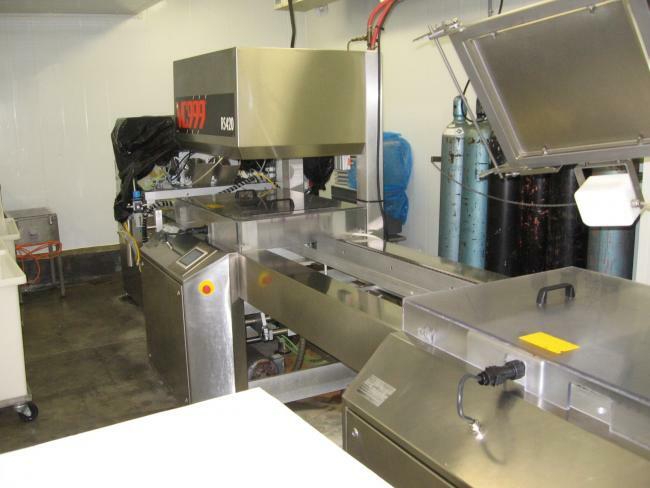 For more information about vacuum sealers or any of the other packaging machines in our inventory, contact us today. © High Performance Packaging. All Rights Reserved.